The most effective career decision start here! WVU Parkersburg’s Career Services is here to help you explore, prepare and earn. We are committed to student empowerment, workforce collaboration, and community involvement, and provide career-related counseling, resources, and programs to help students and alumni establish career goals, develop job seeking skills, and successfully obtain employment. We work with students at every academic level, from first-year freshmen to graduating seniors. Career Services also collaborates with employers to optimize their recruitment efforts and create opportunities for them to connect with our talented students and alumni. Discover majors, in-demand careers, and education based on your interests! Browse a video collection to learn about careers, industries, skills and abilities, or work options and education levels. Our easy-to-use resume builder will help you create a professional resume. Access to over 70 career advice podcasts, over 25 career articles written by industry professionals, and over 10 career videos to help guide you in your career exploration. 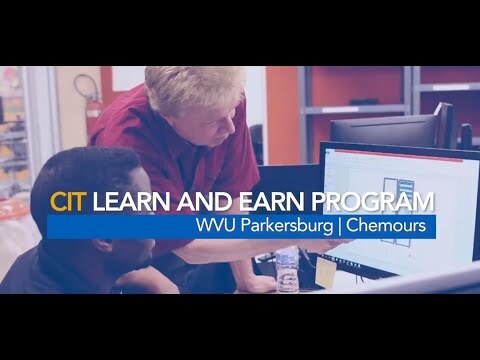 Search for a wide variety of opportunities posted exclusively to WVU Parkersburg through our online jobs board. Working under the supervision of college faculty and employers, eligible students earn college credit while working at jobs that are related to their college majors and career goals. The largest professional networking site available providing a way to connect with other professionals and stay in contact with millions of users. It has become a leading tool for helping individuals expand their networks as well as find jobs in their field.